Rapper Eminem says he got to the point where he "couldn't even count" the number of pills he was taking. When he was promoting his film "8 Mile" a few years back, he did one interview – and it was with Access Hollywood. VIEW THE PHOTOS: Guess Who's Back? Hot Shots Of Eminem! In 2010, he's promoting his new album (all about recovery) and once again, Access Hollywood got the exclusive. "The things I was putting in my body, my tolerance got so high," Eminem told Access' own Billy Bush in a revealing new sit down. "I got to the point where I couldn't even count how many pills I was taking." If you want to understand the depth of Eminem's past drug addiction, you need to watch the music video for his single, "Not Afraid." "The video is powerful," Billy said. "You're standing on the edge of a building, the message people take right away, is he got close to the edge. Did you?" "Yeah, I mean there's a lot of… Well, as far as getting close to the edge, I don't know if I would go as far as to say that, but I certainly hit my own, you know, personal bottom," Eminem told Billy. Never one to shy away from rapping about his personal highs and lows, Eminem shares his journey on his new album, "Recovery," detailing everything from a near fatal overdose to a sting in rehab. 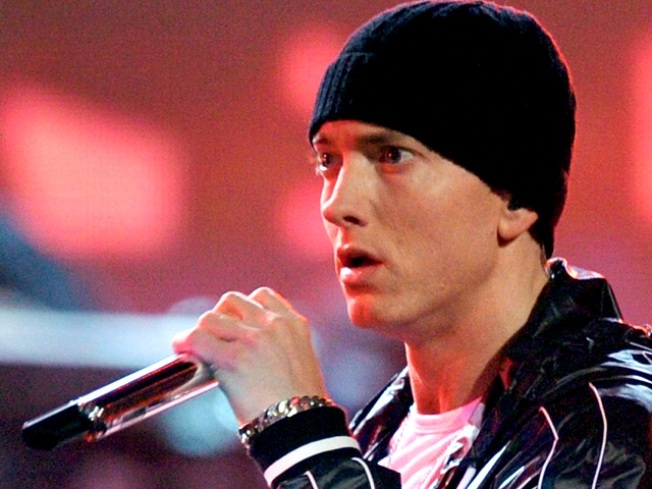 "I had overdosed in 2007, like right around Christmas in 2007… Pretty much almost died," Eminem said. "You know, I pulled through and went home and relapsed less than a month later and I literally shot back up to the amount of pills I was taking, shot right back up to where I overdosed… Kind of I scared myself, like, 'Yo! I need to, I need help. Like I can't beat this on my own." "How did you grab the bull by the horns in your own life and deal with it?" Billy asked. "Well, I just got tired of the way I was living," he replied. "I guess I really had to reach down, reach deep down and look at myself and realize this is my fault, like, take responsibility for the way I'm living and stop blaming other people." Billy also asked if it was hard, as a man, to say "I need help?" "Yeah, I think it was," Eminem explained. "I think that was my biggest problem… I mean, I'm sure that anybody with addiction — the biggest problem is admitting that you have a problem. Nobody wants to admit that they're not in control of something."